In this issue of the FINOS newsletter, as we approach one year since FINOS was launched, we celebrate the continuous growth of our Community, highlighting notable achievements across a number of our programs and our continually growing roster of members. FINOS recently announced the release of the first major version of the Financial Desktop Connectivity and Collaboration Consortium (FDC3) standard. FDC3 is starting a new era in addressing long-standing challenges to the user experience caused by fragmentation within the financial software market. It brings universal connectivity and standards to the financial industry’s desktop applications. More than 50 financial organizations supported development of the standard that was founded and contributed by FINOS member OpenFin. We'd like to thank OpenFin and the many active contributors to the recent release including Adaptive, Citadel, FactSet, GreenKey, IHS Markit, JP Morgan, Refinitiv, Scott Logic, Tick42, and Wellington among others. Find out more about FDC3, and how to get involved here. As our members and community engage more in open source development, license compliance inevitably becomes a major focus. While there's no shortage of information available about the various open source licenses, it’s not always easy to find information that is practical and accessible to developers on the front lines. 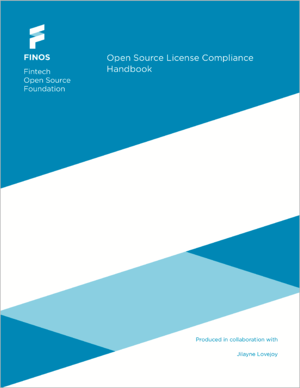 To help address this, FINOS collaborated with open source attorney Jilayne Lovejoy to produce the Open Source License Compliance Handbook, a reference guide to practical compliance information for common open source licenses. The goal here is to provide developers and engineers with "self-serve" information to facilitate the end goal of open source license compliance. For more information about how to use the OSLC Handbook, see Jilayne's blog post here. Go to the download page here to access the handbook. 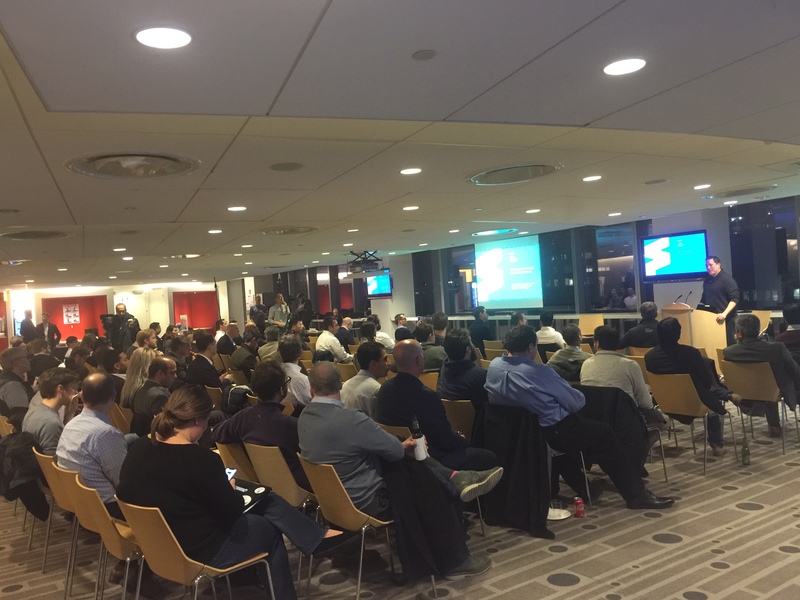 On March 5th FINOS hosted its first Open Source in FinTech event of 2019 at Moody's Analytics Accelerator. Over 100 financial services professionals, technologists, and developers convened to discuss what it takes to build and sustain a decentralized ecosystem. Rob Underwood, Director of Programs at FINOS, moderated a panel discussion between Patrick Nielsen, co-founder of Clovyr, and Dan Guido, CEO of Trail of Bits. The conversation spanned a range of topics including how "decentralized" is more than just blockchain technology; the new information security imperative; trends in crypto custody; and even the threat of quantum computing to existing crypto technologies. Amber Baldet, co-founder and CEO of Clovyr, also provided an overview of the FINOS Decentralized Ecosystem Growth Program, and the ways in which the initiative provides a useful platform for discussion and development amongst those creating an ecosystem of decentralized projects, protocols, and tools, especially in financial services. For videos and a copy of the presentation, please visit the meetup wrap-up page here. The Data Technologies Program was formed to support open collaboration around technology and tools supporting the common lifecycle of data in financial services. Approved by the FINOS board in July last year, the Data Technologies program has since grown to three working groups: Securities Reference Data, kdb+, and, just on-boarded last month, Digital Rights Management. The Securities Reference Data Working Group is working on how to practically and incrementally address the challenges posed by having multiple and disparate sources of trade identifiers. As a first step, the group is looking at how to leverage existing initiatives and/or open source symbology to map entity/issuer static records across vendor feeds. They are looking for additional participants to provide input and help drive the discussion and solution forward. Read about the working group, roadmap and how to get involved; check out the FINOS program community calendar to join the next meeting; or email the group for more information. 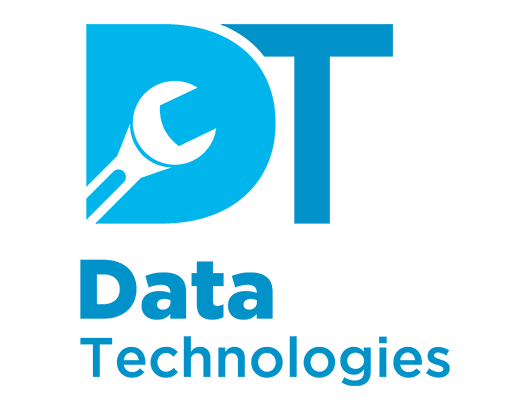 The mission of the FINOS kdb+ Working Group is to curate common standards, tools, and libraries to facilitate collaborative development, ease artifact reuse, and improve usability and administration of kdb+ software in enterprise deployments. The group has published a q coding style document and is actively designing APIs for authorization handlers and processing command line arguments. Check out the code contributions starting to appear on GitHub branches. Read about the working group, roadmap and how to get involved; check out the FINOS program community calendar to join the next meeting; or email the group for more information. Finally the Digital Rights Management working group launched last month, based on a recent contribution from JP Morgan. It will deliver tools to dynamically manage complicated permissions and access rights across a wide range of data and data sets. Information Property is central to the world of finance, where every organization plays three roles: information producer, data broker, and information consumer. Rights to use this property are often bespoke, complex to manage and now scrutinized by numerous parties, including regulators. Getting control of this ecosystem requires contracts, tools, and enforcement methods that delegate processing to computer code. Read about the working group and how to get involved or email the group for more information. Curious about who's contributing to FINOS, above and beyond our members? Are you a contributing individual or firm and want to know where you stand on our contributor leaderboard? Or are you looking to find the project or working group where you can participate and add the most value? 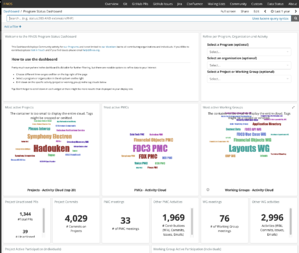 Then make sure you check our FINOS Activity Catalog for a comprehensive list of all our projects and working groups and then check out our shiny new Program Status Dashboard to see a live snapshot of our community contributors. As you know, our community is open to everyone, so, if you are not there already, when is your name going to show up in that dashboard? We hope it's soon! In case you missed the press release, we recently announced that Capital One, Scott Logic, and GitLab joined as FINOS members. We are delighted to add them to our growing list of leading and innovative financial institutions and fintechs driving open source in financial services. Welcome WhiteSource! We are excited to announce that WhiteSource decided to deepen their engagement with FINOS by becoming our 10th Silver Member. You might have seen David Habusha, VP Product, present at OSSF 2018 or be familiar with WhiteSource's open source security and management solution, many of which we use within the FINOS Open Developer Platform (ODP).We are very pleased to have them on board and look forward to working closely together to help members harness the power of open source without compromising on security or agility. All members are invited to join us for our annual FINOS Members Meeting on May 1st at J.P. Morgan, 25 Bank Street, London E14 5JP. Register here. There will be plenty of opportunities to learn about and engage with all FINOS programs, see demos of recent contributions and hear from Aite Group on our joint research on open source in financial services. We're also fortunate to have Mike Grimaldi, CIO of the Corporate and Investment Bank at JP Morgan, kick us off with opening remarks. The event is free for members and we encourage individuals from all areas to attend including developers, architects, engineers, designers, business analysts, project managers, product managers, and professionals in legal, compliance, strategy, business development and more. Space is limited so sign up now. 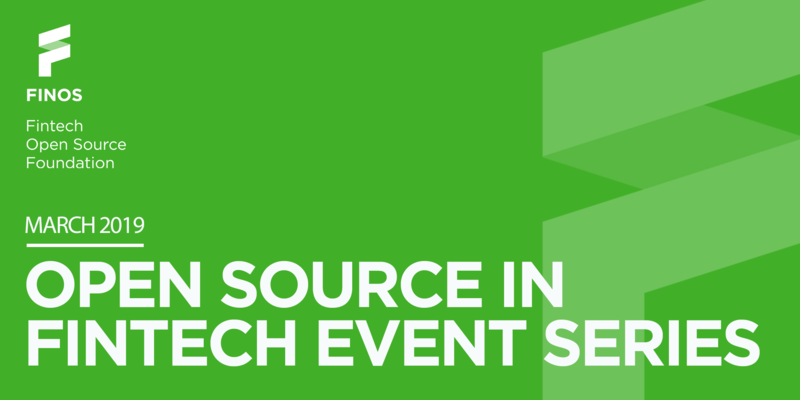 We're busy filling our event calendar with meet-ups, webinars, blogs, white papers, training sessions and more so check back regularly for additional detail. And if you'd like to partner with us on any of these activities please email marketing@finos.org.